EPIc was featured on Body in Mind! We are so humbled and honored to have the Endless Possibilities Initiative (EPIc) highlighted by the Body in Mind research group in a recent post on their page. Their support means so much to us as the work of Lorimer Moseley was what made EPIc possible. It was during my studies in graduate school when I first across Lorimer’s research. I was studying pain science in my kinesiology program in order to figure out my own pain. After years of endless therapies – including cortisone injections, physical therapy, massage, chiropractic adjustments, acupuncture and posture therapy – and hip surgery, I knew there had to be something I was missing. And I wasn’t the only one, I wasn’t the only person with pain who didn’t seem to respond to treatment, I wanted to figure out how to help them, too. So I read every article of Lorimer’s I could get my hands on. His research opened up a whole new world of possibility for me. Yet I still had a lot of questions. Luckily enough, I got to ask them of the man himself. Lorimer agreed to an interview for one of my school papers and it was a chat that changed everything for me. I grilled him for 45 minutes about the science of pain and I learned so much and took a gazillion notes so I could research everything further. But that wasn’t what changed everything. I asked him at the end of the interview what the one thing he would want people living with pain to know or do. He responded, ‘to love and be loved’. My jaw hit the floor, I wasn’t expecting that type of response. It led me to seeing pain, and life for that matter, in a whole new light. I realized I had been living a pain-centered life for years. A life on hold as I battled and fought and tried to eradicate my pain in order to get on with living. We don’t have to wait for pain to be gone to get on with living, though. Don’t have to wait to love and be loved, to pursue things that are meaningful to us, to live a valued life. Don’t have to wait to spend time with people we care about or experience the world. Life can be lived NOW, even if pain is present. We can still be whole, worthy, purposeful, loving, creative, active people, even if pain is a part of things. And pain can change. Our lives can change. And we can influence that change. That’s what the work of Lorimer, and his pal David Butler, have taught us. Through the books Painful Yarns, Explain Pain and the Protectometer, we have learned much (all put out by the NOI Group, another awesome research group!). 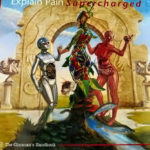 And we couldn’t be more excited than are about our fresh copies of Explain Pain Supercharged. These resources have helped us develop curricula for our workshops and retreats, along with research from many fields that study pain and than lecture. We hear, see, feel and do in an experiential learning environment set amongst extraordinary surroundings. The lived experience coupled with the science allow us to help people make sense of pain. There are endless possibilities, even in the presence of pain. And the more we pursue those possibilities, the bigger life becomes. The bigger life becomes, the less of an impact pain has. Pain may even shrink or go away entirely, anything is possible. That’s what the Endless Possibilities Initiative is all about. We hope you’ll join us and find your own possible! To check out our story over at Body in Mind, check it out here! The next retreat is in October and is for women living with pain. 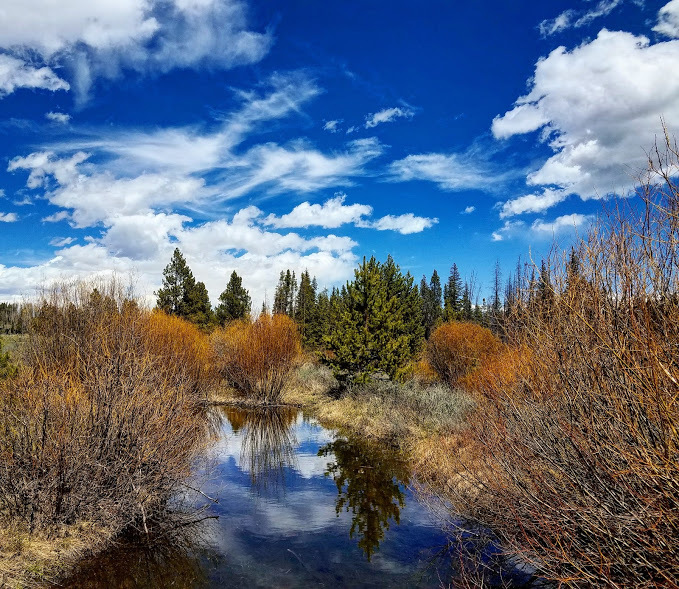 The retreat is in majestic Grand County, Colorado (pictured above!). We believe nature heals. It allows space to breath, offers new perspectives, and gives us time to relax and allow our systems to calm down. There will be plenty of time for learning, growth and discussion as well as plenty of downtime for resting, reflection, socializing or solitude. Meals are family style in our cozy cabin in the Rocky Mountains and the views are endless out our floor to ceiling windows. For more on what’s included and what we’ll be covering and doing, check out our retreats page. There’s always an out, too. You can always go to your room if needed, no judgment. We are there to support you and we all understand. That’s a huge benefit of these retreats, everyone gets it! You don’t need to explain! The cost for the retreat covers our operating expenses. There are no salaries at EPIc and all instructors, therapists and coaches are volunteers. There are grant opportunities available, thanks to generous donors, as well as fundraising opportunities for those who are interested. We’d love it if you joined us! If you have any questions, please don’t hesitate to contact us. Share EPIc was featured on Body in Mind! This post was posted in biopsychosocial, change pain, chronic pain, chronic pain management, chronic pain self management, communication, coping skills, endless possibilities initiative, explaining pain, getting on with life, health care, living well with chronic pain, living well with pain, living with chronic pain, living with pain, managing pain, meaning of pain, nature heals, overcoming pain, pain, pain education, pain rehabilitation, pain self care, pain self management, persistent pain, Retreat, self-management, traveling with chronic pain, understanding pain and tagged biopsychosocial, body in mind, bodyinmind, chronic pain, chronic pain management, david butler, empowerment, endless possibilities, explain pain, explain pain supercharged, living well with pain, lorimer moseley, nonprofit, ongoing pain, pain, pain education, pain management, pain retreat, pain science, pain treatment, persistent pain, retreat for pain, retreat for women living with pain, retreats, self-management, women's retreat, workshops. Bookmark the permalink.